With 2019 around the corner, I’m already carving out my race year, and the first race I’m planning is the 2019 ORRC Y2K Run. It’s the first race in the 2019 ORRC Half Marathon Series as well as the first of the 10k Series depending on what distance you choose. I personally signed up for the Half Marathon Series, and I’m excited to get started!! Both distances of the Y2K run will begin and end at 9:00AM at Tom McCall School in Forest Grove on January 5th. The course will be along rolling country roads in wine country with the scenic Coast range in the background, and I can’t think of a better kick off to 2019 race season. Both races will run together for the first 3 miles and then split off until the last 1.5 miles in which they will rejoin for the finish line. There will be plenty of aid stations and Gu and snacks will be available at the later half marathon stations. Check out the course here. A huge benefit to this race, especially in the not-so-warm month of January, is that participants are welcome to stay toasty inside the school cafeteria before and after the race. As a racer who gets awfully cold waiting for the “GO” prompt this time of year, this is well worth the price of a race, as is the delicious post-race pancake breakfast being served by the local Forest Grove United Church of Christ Temporary Emergency Shelter at this race. A hot breakfast will certainly be a great motivator for me to get to the finish line!! 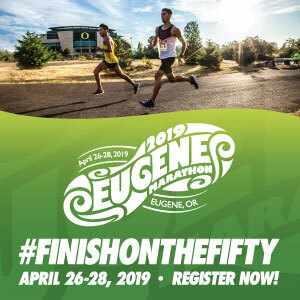 The cost of this race (if you aren’t running it as part of either series,) is $65 for the half marathon and $45 for the 10k. As with all ORRC races, members will receive a $10 discount if they preregister for the race (no discounts on race day.) Prices will increase $10 each on race day. There will be an optional shirt available for $20 for all and half marathon participants will receive a medal as well as a custom-designed Y2K stadium blanket. The blanket is not available to 10k participants with their registration, but they will be available for purchase for $10. Headphones are strongly discouraged for this event, so please enjoy the scenery of the race instead! Strollers will be allowed but encouraged to start at the back of the pack, and dogs will not be permitted for this race. 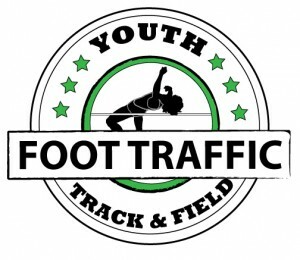 Runners younger than 15 years old are also discouraged from this particular event and the course will be open to traffic, so please keep left against traffic and stay safe! Cost: $65 for Half Marathon, $45 for 10k. ORRC members get a $10 discount for pre-registration before race day. Prices increase $10 for both distances on race day. Packet Pick-Up: Beginning at 7:00AM at Tom McCall East on race day.